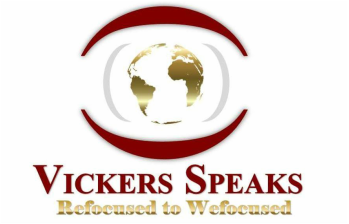 The focal aspect of Vickers Speaks is to bridge areas of community, ministry, and business to work together within a communal relationship. In doing so, participants receive benefits that do not create the "typical obligation" to return the same value, but benefits are provided as a response to a direct need and out of concern for the welfare of others. Dunamis Ministries is a non-denomination church that operates as a teaching center. Tasked with reaching the world with the Gospel of Christ, Pastors Everett and Bridget Watson are impacting lives throughout the country and international. Dunamis is a place where believers will not just get a "good message", but also be given the keys to living a righteous and holy life. Pink Passion educates women and demonstrates godly womanhood. Our passion is to mentor and coach single women, wives, and wives working in ministry utilizing today's technology to accommodate various spiritual needs and concerns. A safe place where newly married couples (5 years and under) can come together to strengthen, encourage, and build up our marriages in Jesus Christ through fellowship and the Word of God. If you want a great marriage, surround yourselves with other couples who have one! If you have an organization that will fit our ministry or outreach efforts and would like to affiliate with BFC, please click on our contact page and complete the available form. We look forward to hearing from you!